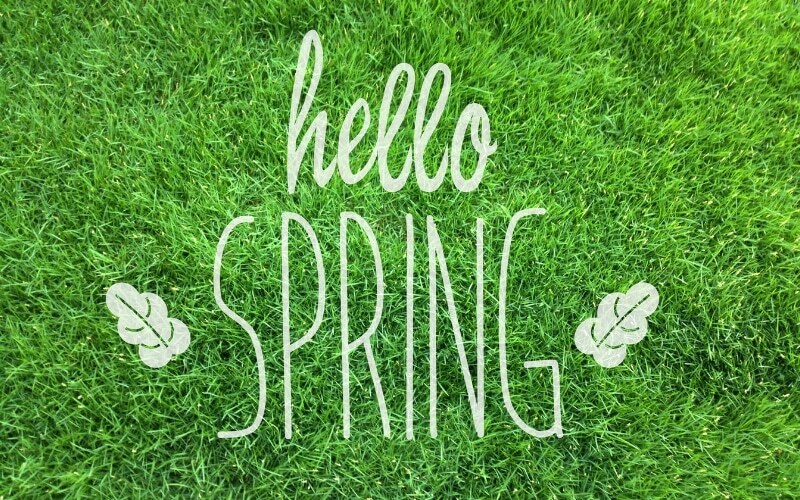 Do you have everything you need to get your lawn ready for spring? Yes? Great, then you’re ahead of the game! But if you answered no, don’t fret. We’ve compiled this quick easy checklist, just for you, of a few important things to keep in mind while getting your lawn ready for the best Spring its ever had! After a long winter of freezing temperatures here in Kansas City, and sitting idle in the garage, it’s finally time to pull out that old lawn mower and fire up the string trimmer. Be sure not to skip over the basics when preparing your equipment for the season. Sharpening the mowing blades, new spark plugs, and fresh oil and air filters are a good place to start. When: Early February- Mid March… or whenever the snow melts! Over the past few months, your lawn has become a magnet for leaves, acorns, sticks, and much other debris. Give your lawn a breath of fresh air! Clearing all these leftover debris can make way for any fertilizer and pesticide applications. It also helps prevent any unsightly dead patches in your lawn, that would be the result of leftover matted down leaves and debris. Soil temperature will be the deciding factor for timing the first application, and the ideal temperature to begin your lawn care program here in Kansas City can be tricky. However, typically Mid-Late March is a safe bet. Grab a soil thermometer, and start watching for that magical temperature. Pre-emergent herbicides work best when the soil temperature (not the outside air temp) reaches the ideal germination temperature. For grab grass, that temperature is 57-64 degrees. Lawn Aeration helps loosen up compacted soil, helping your lawn receive water and nutrients more easily. Aerating your lawn regularly is one of the easiest ways to improve the overall health of your lawn, as well as helping give it that thick dark green look we all desire. When: Starting in April, then according to the steps in your lawn treatment protocol. Your lawn will work up quite an appetite after a long hard winter, so be sure to feed it all the right nutrients it so desperately desires. After that, follow up with an addition 4-6 applications, according to the timeline laid out on your specific treatment protocol. When: As soon as possible! We recommend starting off with a hybrid organic/synthetic fertilizer protocol, and slowly working your lawn up to a mostly organic diet. While synthetic fertilizers no doubt work much faster, organic fertilizers are superior in building the overall health of the lawn for the long run. They’re also much safer for your little ones, pets, and the environment. When: Starting in June, on an as-needed basis whenever rainfall falls below 1” per week. Just like you do, your lawn requires a decent amount of water. The right amount of water can often be achieved just by rainfall, but during those hot dry periods of summer, you’ll likely need to supplement your lawn with a little extra H20. An easy way to check for an inch of water is to pick up a cheap rain catch from your local lawn and garden supplier and wait till it hits that 1” mark.